Emericella is a cosmopolitan fungus with a worldwide distribution. Emericella is very common in tropical and subtropical regions, often isolated from soil, plant and plant material, and food products (Emericella is a common cause of food spoilage). Indoors it can be isolated from a variety of substrates including house dust and building materials. Emericella species generally have a rapid growth rate. Colony color can vary and can include green, yellow, gray, purple and buff. Colony texture is generally velvety. Emericella is an ascomycete that produces ascospores. They differ from hyphomycetes as they reproduce sexually with genetic exchange. 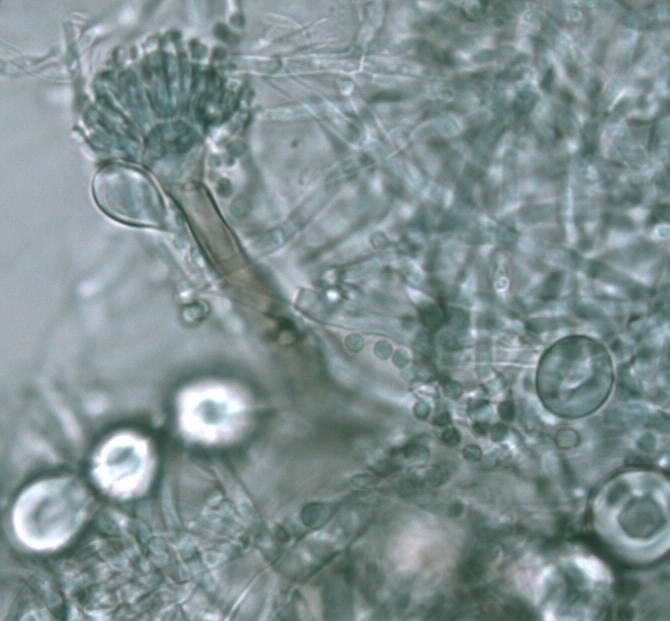 Emericella species are the perfect (sexual) states of Aspergillus, a common hyphomycete. The ascopores are produced in a cleistothecium, which is a completely enclosed ascomata (the fruiting body of an ascomycete) without an opening. The cleistothecia are generally spherical or globose in shape and vary in color and texture. Ascospores vary but are often brightly colored. Texture can be smooth to roughened. Emericella can cause allergenic and asthmatic reactions in sensitive individuals. Emericella and its anamorph state Aspergillus can cause infection in humans and animals including aspergilloma and haemorrhage particularly in immunocompromised individuals. Mycotoxins produced by Emericella include sterigmatocystin (which can be carcinogenic), asperthecin, penicillin, corycepin, pentostatin, asperugin, emerin, emericellin, nidurufin, aspergiline and echinocandin B.